A fire containment system is often crucial when you come up to seeking building control approvals or meeting insurance requirements. But that’s not all – it can save you money and even your business if disaster strikes. Installing a total or partial fire suppression system can reduce building and insurance costs, generate operational benefits and give you increased peace of mind. Separately, a Fire Risk Assessment is the basis for a business ensuring that it has carried out its obligations to manage the risk due to fire. Where recommendations are made and carried out, this would be 'reasonable' in the face of claims for loss of life or property. 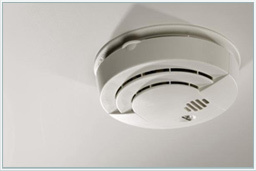 The Fire Risk Assessment and report may be called for by insurers and is likely to be referred to in the event of a fire. A conventional system employs one or more initiating circuits, connected to sensors (initiating devices) wired in parallel. These sensors are devised to decrease the circuits resistance when the environmental influence on any sensor exceeds a predetermined threshold. An addressable panel is a more modern type of panel, and has greater flexibility than a conventional panel. An addressable panel has a number of Signaling Line Circuits (SLCs), where a number of devices are able to be connected, each with its own address. There is no standard protocol as such, and thus a number of proprietary solutions exist. Each SLC polls the devices connected, which can number from a few devices to several hundred, depending on the manufacturer. An addressable fire alarm system comprises a plurality of heat and/or smoke sensors connected to a control panel. The control panel being arranged to transmit successive address codes to respective sensors as they are successively activated. Each sensor receives and stores its unique address code that is received from the control panel. The address code of each sensor is thus very straightforward to set. The system makes it easier to group the location of the sensors according to their address codes.